Home» Account» Community» VideoScribe questions and answers» What is a "vignette"? How to "add a vignette"? 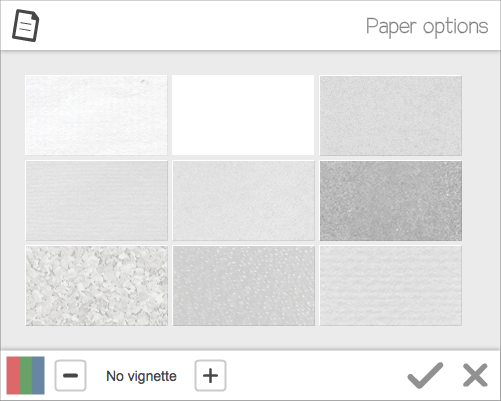 In version 2 of videoscribe, you can change your paper texture and color and vignette by clicking the paper icon at the top of the screen. That will bring up the Paper options menu. Click the plus and minus arrow to choose a vignette.